The paper examines the memory and hagiography of the important but little-researched late sixteenth-century bhakti saint Agradās. After introducing this influential Vaiṣṇava devotional poet and the Rām rasik tradition he is said to have founded, the paper explores the political realities and motivations behind the molding of Agradās’s hagiography in particular ways in the nineteenth century and how his saintly authority has been drawn upon in modern times. 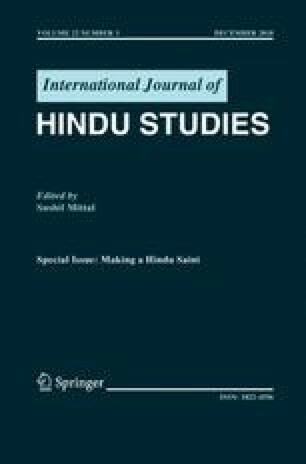 Through a case study of Agradās, the paper makes an argument about the totemic function of the Hindu saint as a tangible expression of the intangible values and sentiments that bond and mobilize religious communities.